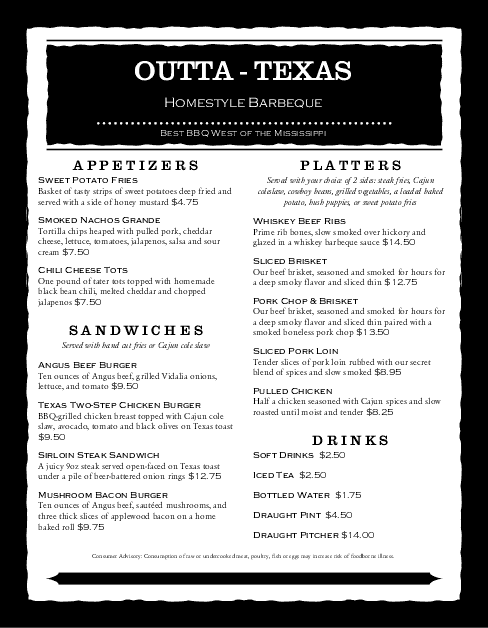 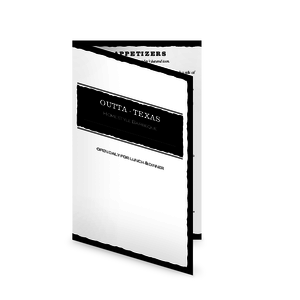 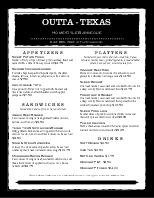 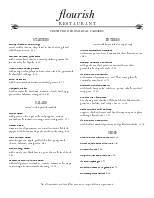 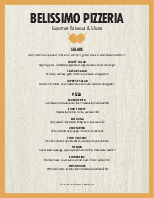 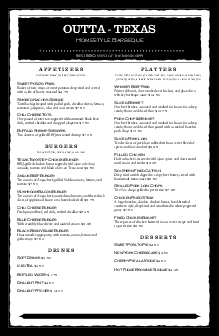 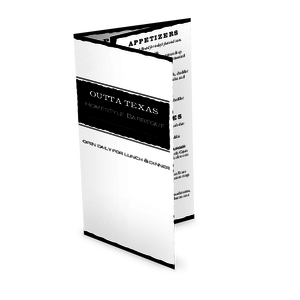 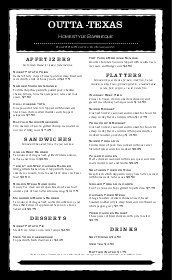 An extra page in letter size expands your menu for a Barbeque restaurant. 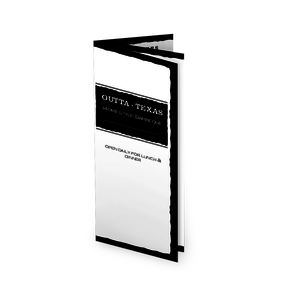 The design is bold and modern in black and white. 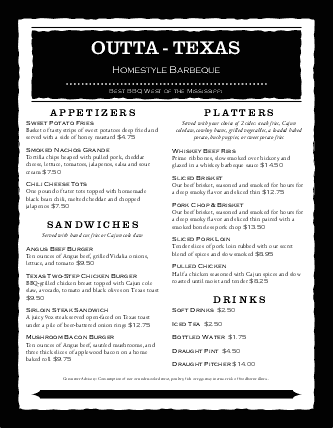 Two columns list bbq meats, fried chicken, burgers and barbecue platters, easily customized online in the Menu Editor.